It’s hard to believe that these celebrities are not related to each other because they look so much alike. What’s fascinating about these celebrities is that many of them were born on different continents with different upbringings and obviously different parents and yet they seem to have inherited the same DNA. Another interesting fact is that although they share similar facial features many are also the same height. You have to see these to believe them. 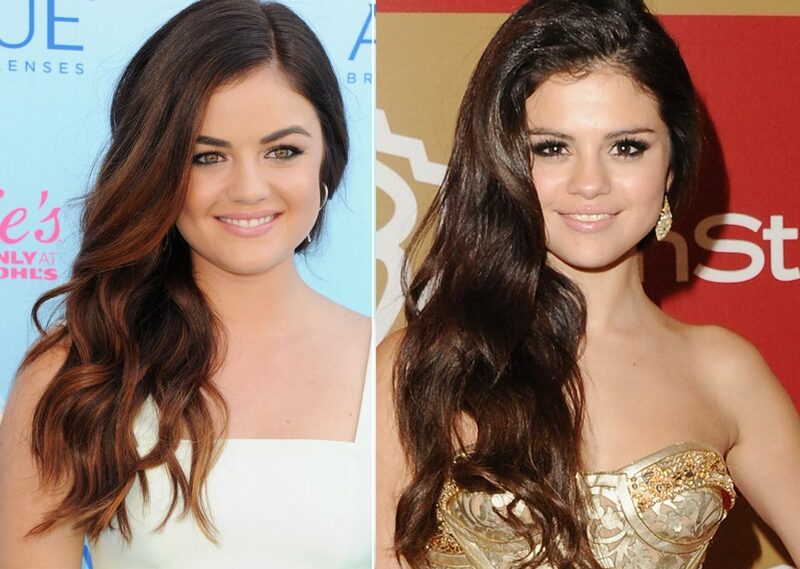 “Pretty Little Liars” star Lucy Hale admits that she and Selena got mixed up frequently when Selena Gomez appeared in ‘Wizards of Waverly Place’. Hale said that one time an older lady in an airport took a picture with her and when they started talking she realized the woman thought she was Selena but Lucy didn’t correct her because she didn’t want to “crush her dreams.” On another occasion, someone tried to steal her cell phone in order to call Justin Bieber! This is why we said it would almost be like a real life Ezria if Selena dated Ian Harding. How about Steven Weber and William Fichtner? They look more alike than if they were actual real-life brothers. Some people you have featured here look nothing alike.